Your have been working on your Events For Months Now? Speakers and special guests are booked, entertainment is scheduled, venues are arranged, and you’re ready to share it with the world. But the world is full of events, from trade-shows to VIP parties and everything in between. Your attendees are being barraged with invites and ads every day, so how do you get noticed? More than getting noticed, how do you actually engage your audience’s attention – and keep it – in the days leading up to your event? In Short how will you get the Footfall required for your Event? If only it were as easy as a “ build it, they will come” In reality, there is much pre-promotional work to be done. On its own, an event must be alluring enough to draw in a targeted demographic, but the consumer engagement strategies leading up to the event are equally as important. We at Page3Surat Event Promotion Service ensure that we create the buzz for your events, and do all that is needed to grab attention. 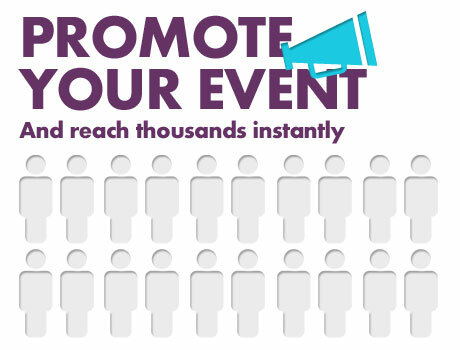 We’ve identified pre-event promotional strategies to help you reach your right audience . Social Media Buzz though out social network. Event Listing @ Page3 Surat.